Santa Cruz, CA: SupplyShift has unveiled their newest Essentials product offering: Supply Chain Mapping Essentials. 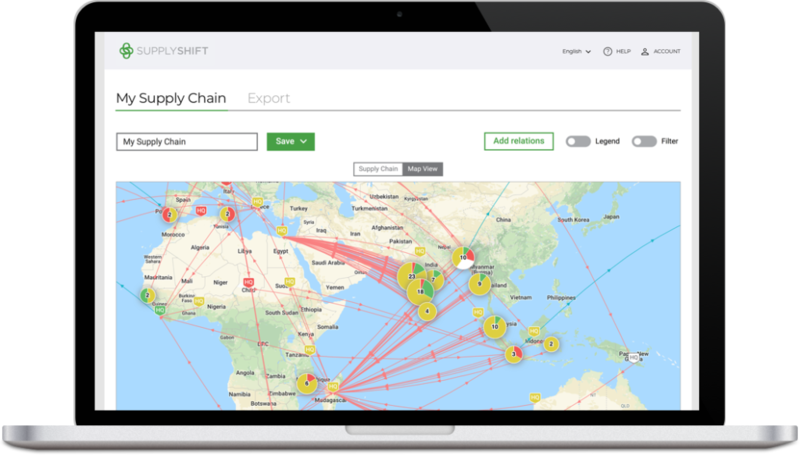 Mapping Essentials is a short location assessment that integrates with SupplyShift’s powerful mapping software, allowing brands to quickly map global supply chains for a more strategic view of their network. Mapping Essentials is the latest pre-built tool in the SupplyShift Essentials suite. The purpose of the Essentials solution is to make it simple for companies to quickly capture data about their suppliers and display that data in a way that helps them make better sourcing decisions. Knowing who the actors are in a supply chain is a critical first step to responsible sourcing. This involves not just the primary suppliers, but all suppliers down to the point of origin. Supply Chain Mapping Essentials offers a streamlined approach for global brands to locate and map supply chain relationships to the source. This provides enhanced visibility for brands that are looking to start out or have been working toward responsible sourcing goals for years. Supply Chain Mapping Essentials’ initial launch will allow brands to map companies and facilities in their supply chain. The assessment covers general location and traceability information. Additional mapping packages will be released in the future to service specific industries and commodities. SupplyShift provides a comprehensive network to seamlessly gather and analyze supplier and supply chain data, connecting companies to de-risk and improve supply chains while helping brands build sustainable supplier networks that are both consistent and responsible. SupplyShift’s cloud-based platform allows for reliable data management and performance measurement, secure traceability for supply chain transparency, and improved collaboration throughout the entire supply chain. We believe that, when properly managed, a company’s supplier network can deliver incredible value for the company, the greater economy, and can play an important role in changing our world for the better.